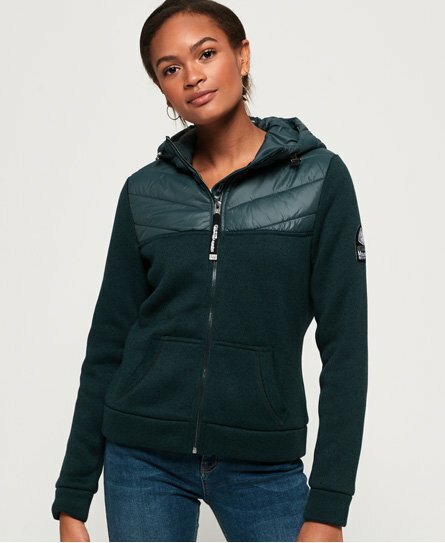 Superdry women's SD Storm Half Hybrid zip hoodie. The perfect transitional piece, featuring a quilted hood with bungee cord adjusters and logo taping inside. This hoodie also features a quilted panel on the shoulders, a zip fastening and two front pockets. Complete with a Superdry logo patch on the sleeve and an logo embroidered onto the back shoulder, this hoodie will be your go-to piece for colder weather days.